Enjoy an accommodation experience with a difference. 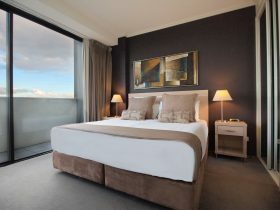 Pacific Hotel Brisbane offers more than your typical hotel with better comfort, more indulgence and more inspiration. 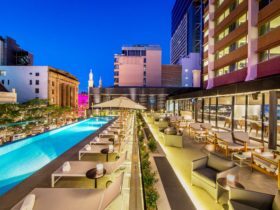 Situated close to Brisbane’s city centre, Pacific Hotel Brisbane is an impressive, architecturally designed space, which features stunning views across the city skyline. 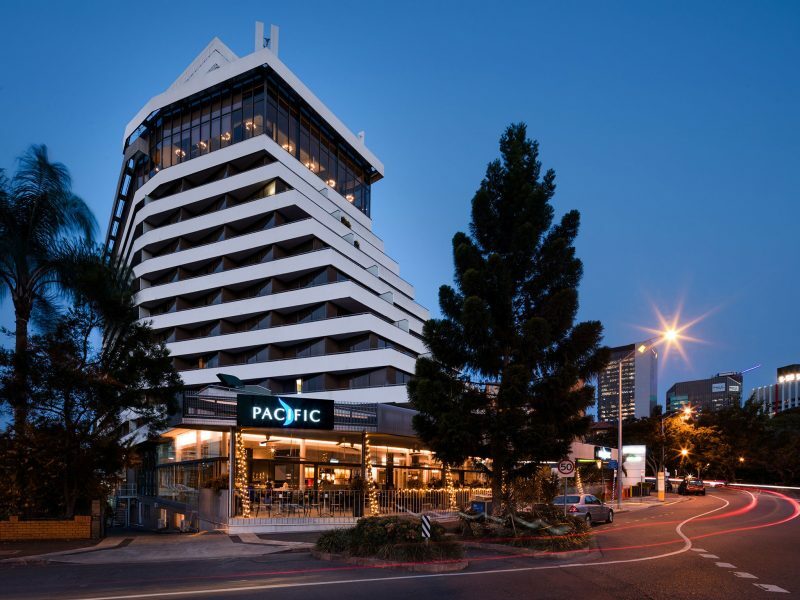 A contemporary combination of modern comfort and designer chic, Pacific Hotel Brisbane’s focus is on helping you kick-back and unwind in style. Whether you are staying with them for business or for leisure you’ll just love their ultra-comfortable rooms, designed with your comfort in mind. You’ll find a cordless phone, comfortable Slow Down Slippers, Bathrobes and their fabulous range of bedding. 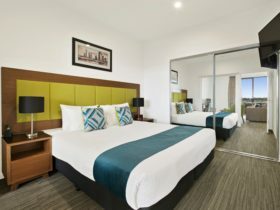 Plus, all rooms have access to fresh air with their own private patio or walk-out balcony – perfect for appreciating the stunning Brisbane city skyline. 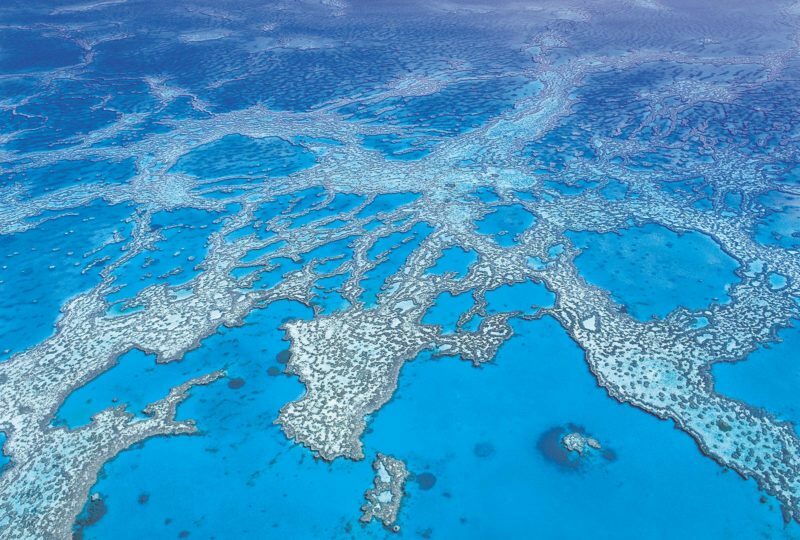 Pacific Hotel Brisbane will also tempt you with excellent dining options. The Gazebo Bar and Restaurant experience is all about fresh flavours and wholesome food. 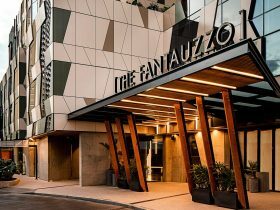 Gazebo is the ideal place to catch up with friends over a relaxed meal or to enjoy some refreshing drinks in the terrace area whilst taking in the balmy Brisbane air. Unwind in style – this fabulous suite has to be experienced! 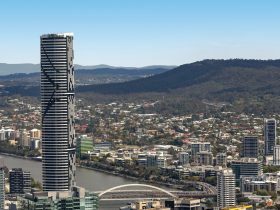 View the stunning Brisbane city skyline from your own spacious private balcony, with separate bedroom and your own roomy living area. Enjoy the comfort of separate air-conditioners in each room and flat-screen LCD televisions in both the bedroom and living areas. With designer bathroom featuring luxury amenities and the plush bedding with special pillow-topper comfort, this suite promises the ultimate in blissful relaxation. With the plush Urban Snorer in Queen size (the comfiest bed ever! ), 32 inch flat-screen LCD television, spacious designer bathroom and luxury amenities – relaxation is effortless. Refurbished with designer everything you’ll love your own walk-out patio or balcony and in-room perks. With the plush King size Urban Snorer (the comfiest bed ever! ), 32 inch flat-screen LCD television, spacious designer bathroom and luxury amenities – relaxation is effortless. Refurbished with designer everything you’ll love your own walk-out patio or balcony and surprise in-room perks! These four amazing rooms break out onto the pool and spa area of the Hotel. Inspired by the colourful beach huts in Brighton, Victoria, and each taking it’s name from a famous Australian beach (Byron, Bondi, Noosa and Bells Beach) these rooms are perfect for those who like a little private sun in their courtyard and have all the features of a lead in Queen or Twin room type – with an extra splash of colour. As they are limited and in hot demand, these rooms are available by special request only. Unwind in style – this fabulous two bedroom suite ! 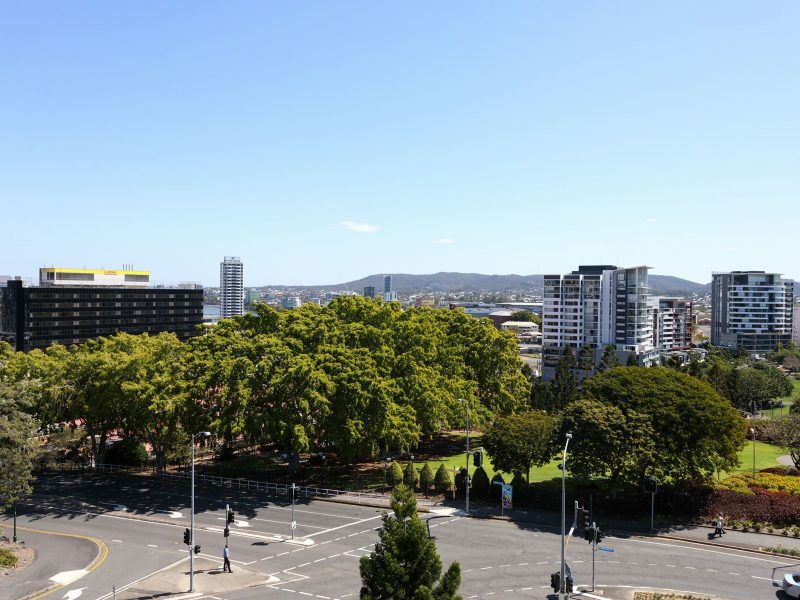 View the stunning Brisbane city skyline from your own spacious private balcony, with separate two bedrooms consisting of a queen bed and two single beds and your own roomy living area. Enjoy the comfort of separate air-conditioners in each room and flat-screen LCD televisions in both the bedroom and living areas. With designer bathroom featuring luxury amenities and the plush bedding with special pillow-topper comfort, this suite promises the ultimate in blissful relaxation.